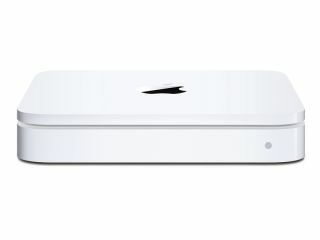 Apple has announced that it is recalling a batch of Time Capsules – Apple's popular wireless NAS drive – after it was found that there was a power fault in a number of the models. The fault only seems to Time Capsules which were sold within February and June 2008, with Apple noting that "Some Time Capsules with serial numbers in the following range may be affected: XX807XXXXXX - XX814XXXXXX." Having a product shut down unexpectedly after just 18 months is definitely a problem. Apple knows this so has said in its recall: "If Apple or an Apple Authorized Service Provider confirms that your Time Capsule is affected, Apple will repair or replace it free of charge." The recall will be a relief to those who have had a problem which, according to MacWorld, was something which had been noted as a problem as way back as September 2009. In a typical Apple way, the company has shielded itself from any responsibility for lost data with the following response: "As always, Apple recommends that you back up your data. Learn more about other back up options while you are without your Time Capsule. Apple is not responsible for data loss." This isn't as bad as saying "you are holding it wrong," but it is a tad frustrating that – according to Apple – you have to backup your backup service.